With places such as a Casino, luxury holiday apartments, a yacht marina, and exclusive upmarket neighborhoods where most houses are only used during holiday seasons, Langebaan, just 140 kilometers north of Cape Town, is already an established tourism destination, especially for summer visitors who come to enjoy water activities here. The continuous and constant southern winds during September to March are utilized for sailing and kite-surfing. During winter the wind changes to a north-western wind that brings the relative low rainfall of 250mm per year. But not all visitors are aware of the sensitive Ramsar wetlands in the area that received its status of International Importance on 25 April 1988. At 6,000 hectares it is the largest Ramsar site in the Western Cape. 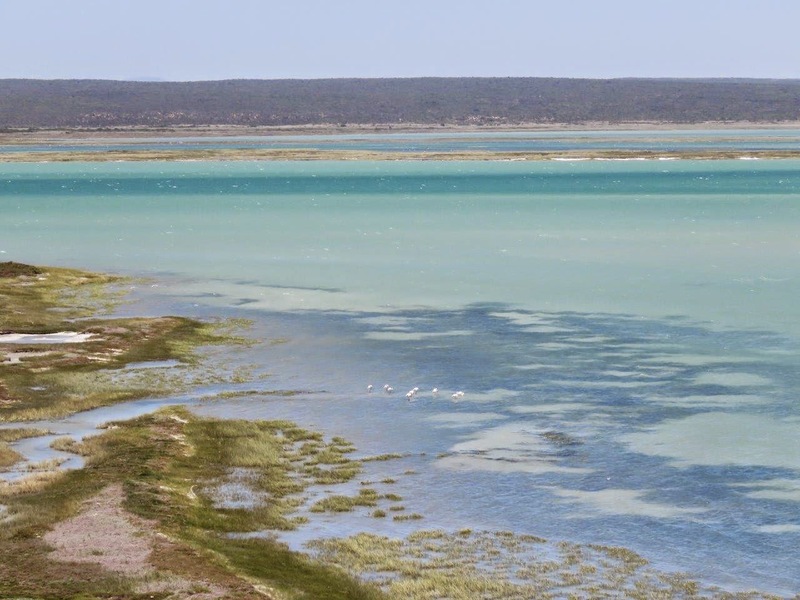 The Ramsar boundary includes the islands Schaapen, Marcus, Malgas and Jutten, the Langebaan lagoon of 15 km long and 12.5 km wide, as well as a section of the Sixteen-mile beach between Langebaan and Yzerfontein. The islands are home to more than 250,000 sea birds which include Cape Gannets, Cape Cormorants, and the largest breeding colony of Kelp Gulls in South Africa. The lagoon supports approximately 80,000 birds of which half are summer visitors such as the Curlow sandpiper, Sanderling, Red Knot from the northern hemisphere. The saltwater lagoon has no river inlet or outlet and serves as a nursery for sea fish species such as Gobies, Klipfish, Pipefish, Skates, Rays, Sharks and Steenbras. The fact that the wetlands are surrounded by the West Coast National park of 32,000 hectares, makes it even more unique. The park is very popular for its flowers during August to September. It also offers several hiking and biking routes and bird hides. The largest breeding colony of the African Black Harrier occurs in the area. Antelope such as Bontebok, Gemsbok, Kudu, Red Hartebeest, Zebra, Duiker and Steenbok can be seen from a self-drive game drive. There are many accommodation options available in Langebaan and surroundings, also in the national park. This varies from camping, B&B establishments, self-catering chalets, to luxury hotels.